Joseph “Chay” Cruel is vice president of international and business development for the non-alcoholic division of Asia Brewery. 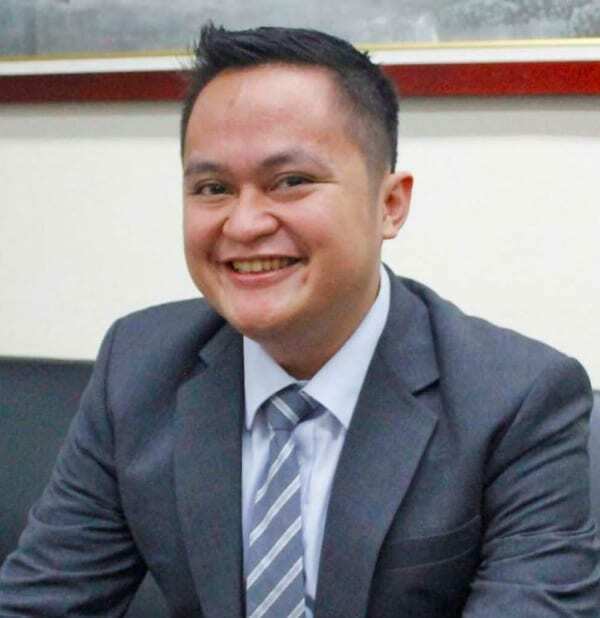 Previously, he was with Smart, Remy Martin, RFM and URC, the latter where he launched the highly successful C2 as brand manager and for which he won the Mansmith Young Market Masters Awards (YMMA) in 2005. 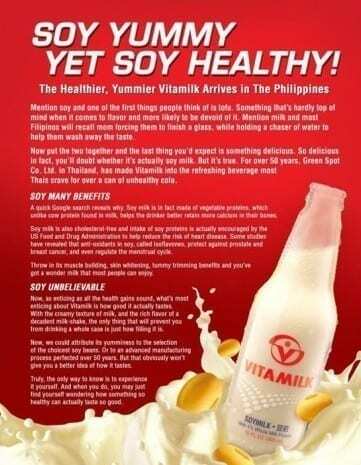 Chay shares his insights on another brand winner – Vitamilk soy drink. Q1. 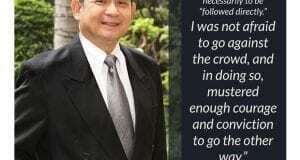 You were the brand manager who launched the highly successful C2 bottled tea of URC in the Philippines. Now Asia Brewery’s Vitamilk has 80% market share in a new soya category. What does it take to launch new brands successfully? A: A good, balanced marketing mix is fundamental. Thevital part is a clear understanding and familiarity of the target market in order to develop an effective communication plan, whilst utilizing the right consumer touch points across different marketing channels. The positioning must be conveyed in a clear and engaging way to the consumers. 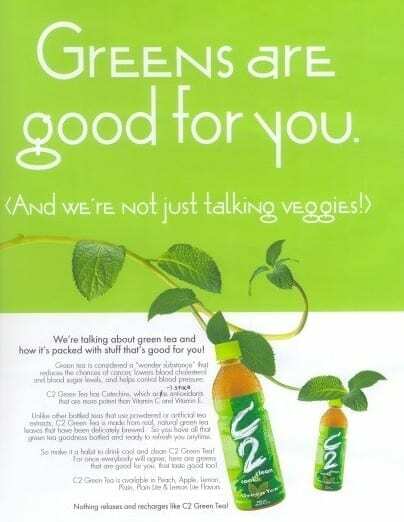 It we revisit how C2 Green Tea was launched, the similar approach was done with Vitamilk Soya Drink’s. Both brands blazed the trail by promotingthe category itself, focusing on the benefits of green tea for C2 and soya beans for Vitamilk. To complete the formula, agility or speed to market is imperative. Al Ries, a brand positioning guru, will tell us that once we own a particular category – once we’re first in the mind of the consumers – it will be difficult for competitors to penetrate and challenge the equity that you have already built in the minds of consumer. Q2. Asia Brewery has a couple of successful launches – Vitamilk and Cobra energy drink both have over 70% market shares each. How do you see the beverage market changing in the Philippines and in Asia? A: All companies must seriously study or take the opportunity to go beyond the domestic game and explore feasibility of entering new markets in the ASEAN. Competition will not just come from the local company players but also neighboring Aseancountries. If I may quote the Mckinsey Global study, (Understanding Asean -2014), it states that, if cost and quality considerations will be the key measures in the top Asean countries, Philippines ranks number 4 while Thailand will rank number one followed by Vietnam and Indonesia. This will cut across various industries such as motor vehicles/components, chemicals, food/ beverage and tobacco. If your business plan only captures the domestic competition, you would need to revisit and revise your entire company strategy in the next 2 years. Q3. When a new brand is successful, it is bound to attract competition. What should pioneering brands expect with competitive entries? A: If you have the advantage of being the first in the market, it is imperative you start building on your brand saliency. 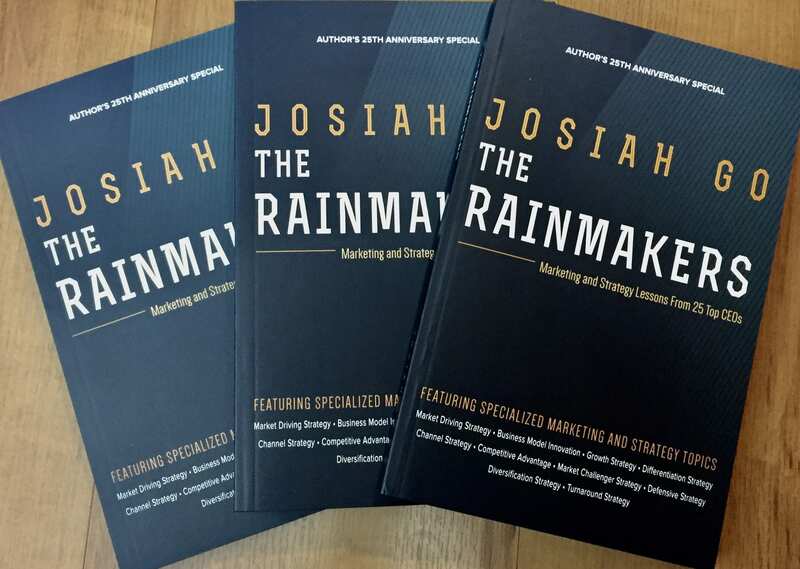 I was fortunate to work with Professor Jenni Romaniuk of Marketing Science (Australia) and I have learned a lot. Brand saliency is the propensity of the brand to be thought of or noticed in buying situations. Brand saliency touches on associative theories linked to memory given that consumer’s memories are imperfect. It is not ideal for a market challenger to mimic themarket leader in the category. Sharing common label design elements, color, and identity will not help build the new brand’s equity. Q4. Can you actually deter entry of new competition? A: No, you can’t. There will always be threats of new entrants. This makes the playing field more exciting and challenging. Q5. How should companies defend their market standing against lower priced competition? A: If the brand is able to build its brand equity and saliency before the entry of a low priced competitor, the brand should be able to establish an emotive proposition, repositioning the “low- priced brand” to the consumers. As a result, consumers will view the “low-priced brands” as the brand not for them. 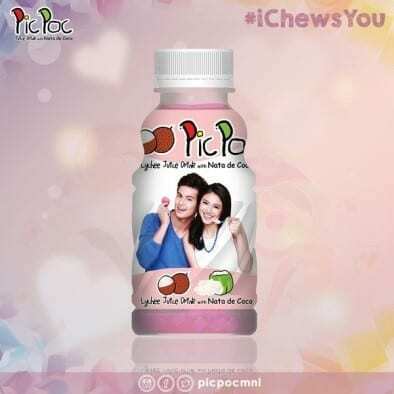 A good case to watch is how Mogu- Mogu will defend its market standing against Pic Poc, a low priced domestic player, which just recently launched with celebrity talents. 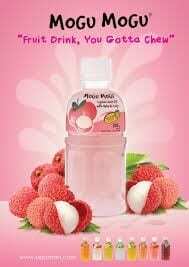 If you are to compare the brand design elements of Mogu – Mogu and Pic Poc they share similar visual identity elements. Their main differences would be the utilization of other P’s in the marketing mix. Q6. How do you know a brand needs to be refreshed and how can it be “refreshed”? A: For established brands, it will always be smart tocommission a brand health tracking. If you don’t have the budget for research, it is a must to have internal brand performance tracking and to gauge your performance in the product life cycle. Single digit or relatively flat growth are early indicators of possible maturity of your brand, speciallyif you are the dominant market leader. Brand refreshment should not be done hastily. You must consider keeping your brand’s distinctive assetssuch as bottle shape, color elements and visual imagery. You must avoid radical deviations from what consumer’s love in your brand. You have to keep your distinctive visual identity elements and remove elements (or properties) that you believe dilutes your brand saliency. Common mistake is to relaunch the brand with a new packaging design and expect dramatic sales growth. If you want to review your brand, have a simple check list on the pros and cons of all the marketing activities,identify the value adding activities and eliminate brand activities that you share with competition. Focus on ownable brand activities to maintain differentiation from your competition. Q7. How should local companies prepare for the entry of more foreign brands? A: Now is the perfect time to study the possible implication of ASEAN Free Trade Area agreement in your industry. Scope the key players in the ASEAN markets that you consider as possible threats. 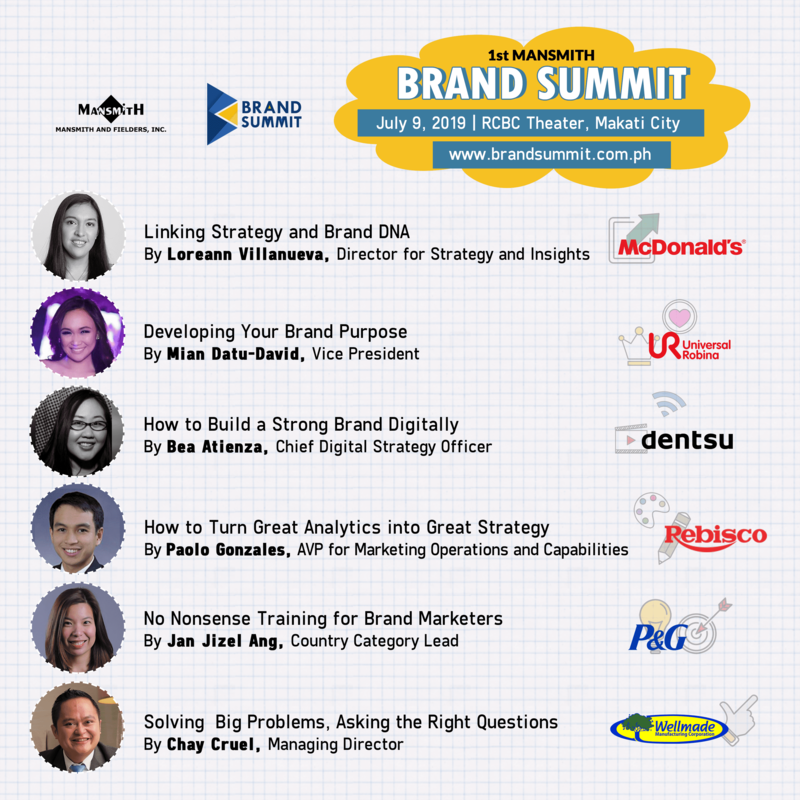 The long term plan is to strengthen your brand building efforts and optimize your brand portfolio in order to cater to different consumer segments. You need to close the consumer gaps or opportunities to discourage entry of competition. The ultimate goal is to have a unified and efficient brand portfolio. You need to develop contingency plans, bearing in mind the different scenarios, on how your company will counter their entry. Forging a strategic alliance or joint venture opportunities may also be an option for your company instead of competing with them. 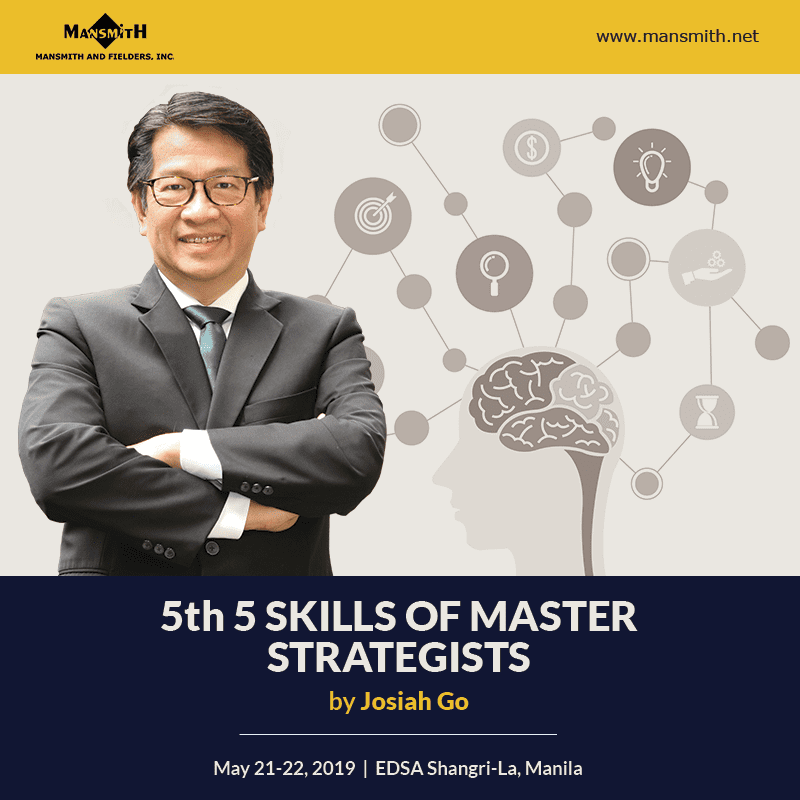 (Please visit www.mansmith.net for information related to Josiah Go’s seminar on Market-Driving Strategies.